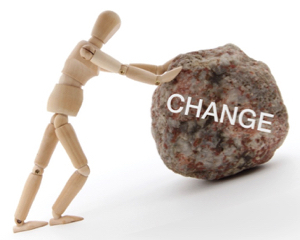 Change management as a set of activities is useless without knowing how to influence the change you want to bring about. What good is a communication plan, for example, without effective messaging to plug into it? How will you engage stakeholders unless you identify what will drive engagement? It’s not surprising that a recent poll by the CCMP blog listed influence as the #1 X Factor for change practitioners. To be effective, we need to design elements that will influence change and apply our personal influence to get things done. In this three-hour workshop, you’ll learn practical ways to clarify the elements of change to illuminate how you can influence it to happen. You’ll apply five levers of influence to bring about change, and discover how to influence to minimize resistance. Attendees will walk away with ideas they can implement immediately and templates to add to their change toolkit. This workshop is intended for anyone who needs a straightforward way to determine how to influence change in their organization. Both new and experienced practitioners alike will gain practical exercises and templates they can use to influence change at work. As founder of Enclaria, Heather Stagl equips individuals and teams to influence change at work through individual coaching, team workshops, and training programs. Heather is a blogger and radio host of the “Influence Change at Work” show on BlogTalkRadio. She is the author of 99 Ways to Influence Change and the change management toolkit, the Irresistible Change Guide. She serves on the board of Organization Change Alliance, a learning community of organization change practitioners in Atlanta. You do not have to attend the main conference to register for this event.